Stories abound of our flat-coats destroying gardens and devouring our personal possessions and sadly many of these dogs end up in the vet’s consulting room. The worried owner wondering if there was anything they should have done as first aid treatment at home. Fortunately, few cases actually result in the death of the pet and most poisons take a while to take effect. This means you have no need to panic but there are some common-sense things you can do. Chocolate – contains theobromine which dogs cannot metabolise like humans can. It can cause marked respiratory depression after consumption. Artificial sweeteners (e.g. xylitol in Orbit chewing gum) – causes a profound decrease in blood sugar with subsequent weakness, collapse, etc. Onions – contain thiosulphates which cause haemolytic anaemia. Cases of onion poisoning have been reported after dogs eat cooked onions at summer barbecues. Alcohol – signs of intoxication being similar to those in humans. Various human medicines – including over-the-counter pain relief medicines. Animal medicines of any kind – it is increasingly common for veterinary drug companies to add flavours to their medicines to make them easier to give. This means it is even more important that you keep all medicines out of reach of the reach of pets. All medicines should be given only as prescribed by your veterinary surgeon. Plants– e.g. 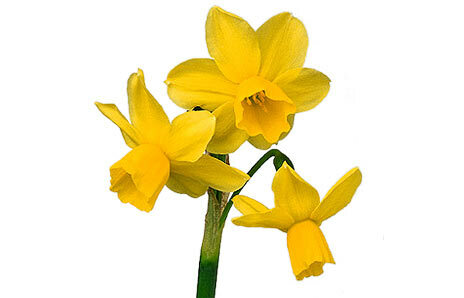 daffodils and their bulbs may be eaten by dogs – resulting in severe vomiting and diarrhoea. Cocoa chip / garden mulch – similar effects to chocolate due to theobromine content. 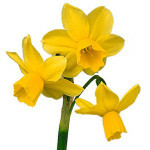 Many other plants are toxic including azaleas and rhododendrons and some mushrooms. For further information the Dog’s Trust web site www.dogstrust.org.uk has an exhaustive list in its information sheet. Anti-freeze – the most toxic of these contain either ethylene glycol or methanol. Ethylene glycol can cause permanent kidney failure. Such poisoning is often reported in pets drinking from contaminated puddles because the sweet taste attracts them to it. Other forms of antifreeze are available and it is very useful bring the packaging in when a poisoning is suspected. Dishwasher tablets – contain corrosive alkaline chemicals which may burn the throat. Slug bait (blue pellets) – contain metaldehyde which can cause multiple organ failure with abdominal cramps and seizures leading to eventual coma and death. Rodent poison (blue or green blocks or grains) – these interfere with body Vitamin K and blood clotting. Always read the instructions about use of garden chemicals around pets. If buckets or watering cans have been used for chemicals keep them empty and out of reach of pets. Silica gel – although this is labelled as toxic, instances of toxicity are rare, treatment is seldom required. Batteries from key fobs/remote controls – these may contain mercury. Not all button batteries contain mercury but they are all capable of causing corrosive damage. It is important to monitor their progress through the bowel (x-rays can be used for this). Recreational drugs – just say no! The first thing you ought to do if you are worried that your dog has been poisoned is to call your vet. Give your vet clear details of any symptoms your dog is showing and what poison you believe is to blame. It also helps to let the vet know how much of the toxin has been ingested, when it was ingested and what size your dog is. This information will enable your vet to give first aid advice and the details can then be passed onto the very useful 24 hour Veterinary Poisons Information Service (VPIS) to which many veterinary practices subscribe. If you do have to visit the vet after a poisoning event you can expect them to ask for clarification of the details of the poisoning – so do bring with you any packaging and remaining poison (you can, for example, calculate how many tablets have been ingested). The vet will then examine your dog to check for any abnormalities (including neurological abnormalities) and will select what treatment is appropriate. If ingestion has been very recent the vet may induce vomiting (often using a drug called apomorphine) to clear the poison from the stomach but this is not indicated if the toxin is caustic as it will cause further burning to the oesophagus. It is most important not to try to make your dog vomit unless it is under the instruction of the vet. It is fortunate that the majority of items swallowed by our dogs are of low toxicity and may only cause mild gastro-intestinal upset. Remember that dogs, like children, can find their way into all of those special hiding places – so make sure all the likely toxins are kept out of reach – under lock and key where necessary.